Java is a popular object oriented programming language that finds immense application in web designing and development. Most web applications that run today on websites are designed on Java based programming platforms. In the present age of digital revolution, software plays a vital role in every field of work. Unit testing books for Java developers are quite necessary and helpful in providing the right programming guidance regarding testing and debugging program algorithms. 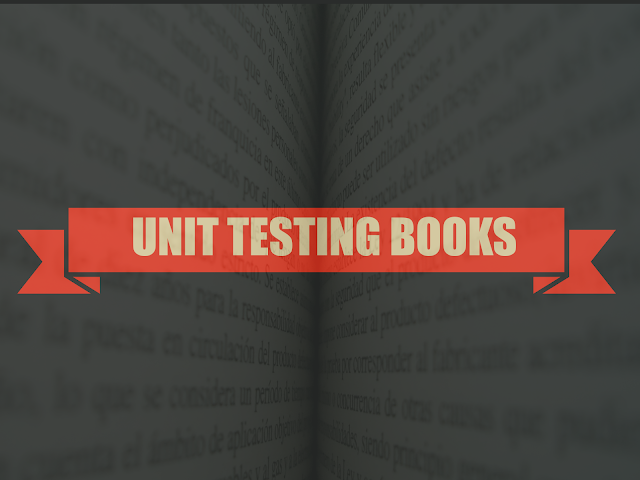 Unit testing books enable programmers to improve their coding skills and thereby help in writing more efficient programs. This is one of the best unit testing book that programmers in Java can ever get. The book tries to explain in detail about two technologies that are quite popular in Java -- Mockito and JUnit. Further it shows ways to write efficient codes or unit tests like matchers and mocks. In addition to that, it stresses more on writing quality codes in the form of unit tests that can be maintained easily and conveniently. This is considered as one of the most sought after unit testing books that enlightens coders about the significance of unit testing in Java programming. It provides details right from the preliminary stage to advanced programming. The benefit of adhering to unit testing is developing the habit of generating new and efficient codes that can make tasks easier to get done within a specified period of time. Unit testing in Java is a revolutionary move in this regard. This is one of the books on unit testing that is highly recommended by programmers. It describes concepts in a lucid manner so that learners can get the meaning easily and thereby apply them in coding practices. It describes two important technologies in Java, those are Mockito and JUnit. In a , sentence, it is the future of Java programming as more innovative software tools can be designed by using the framework. This is a great unit testing book that nurtures the habit of testing in programmers. A good code originates after prolonged testing and debugging. Unit testing is based on this concept and hence it enables programmers to generate something new and efficient out of their mind. JUnit is essential in these days of smart programming where several new applications and programs are tested and launched. This is a unique book on Unit testing. It is something for the programmers for the sake of programming convenience. Unit testing concept specifically points out the faulty areas in a program and thereby saves time in the process of debugging and code correction. It allows programmers to learn the technique of writing efficient and error free codes. Fear of programming failure is something that haunts programmers quite often. This book is something that is meant to transform all failures into success. It is the best book on Unit testing for Java developers. Testing allows errors in coding to get detected easily. However it aims not to waste time in debugging, but rather points out the areas of mistake that occur quite frequently. It thereby saves time and effort. Testing is a part of the programming life cycle. Unit testing is a revolution in the process of testing and debugging. Errors do happen in codes and hence must be eliminated for successful compilation. This book presents a new testing framework that makes programming easier and error free as programmers now better know the faulty areas and consequently, rectifies them right at the time of program composition. This is a great Unit testing book that provides testing by employing two revolutionary technologies -- Mockito and JUnit. It's aimed at enabling programmers to develop better codes in terms of quality. It provides a test driven approach by which programmers can learn the faulty areas and eventually make corrections easily. It is something that organizations and developers can utilize for better profitability. It is the future of application programming,and this book serves as an excellent guide. Unit testing is a convenience in the process of application programming in Java platform. With increased dependability on software based applications, there arises a need for more efficient coding to save both time and effort. Furthermore, debugging of codes has become quite easy as programmers now know where the expected error may occur and eventually take steps for correction.